Buccal fat removal is a procedure designed to thin the facial cheeks, specifically in the area of the cheek hollows. Although a full, filled-out, soft face is often viewed as youthful, some people consider their face to be too full, even chubby. A buccal fat removal procedure involves removing a naturally-occurring pad of fat in the cheek hollow area called the buccal fat pad. The size of the buccal fat pad varies with each individual patient, and the size may also vary from one side of a person’s face to another. For people with thin narrow faces, buccal fat pad removal surgery is typically not performed, due to the fact that removal of the fat may cause the face to look more gaunt with age. Am I a Good Candidate for Buccal Fat Removal? 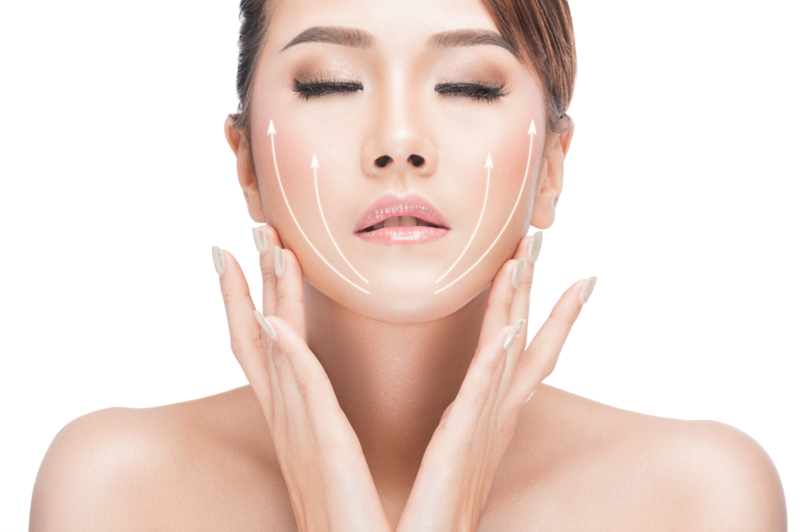 Buccal fat removal surgery can be an effective procedure for people who are concerned with their full or chubby cheeks, and it is a highly individualized procedure. If you are considering this procedure, we recommend that you do it for yourself, and not to meet someone else’s expectations or ideal image. The appearance of your chubby cheeks bothers you. If you are considering surgery, take the time to review buccal fat removal surgery before and after photos, and learn about what to expect during recovery. Preparation ahead of time helps patients approach the surgery with realistic expectations and a smoother recovery. Following your buccal fat removal surgery, you may be instructed by your surgeon to go on a liquid diet for several days or longer. In addition, your surgeon may instruct you to use special mouth rinses to reduce the risk of infection. Swelling often obscures and delays the final results of buccal fat removal surgery. As your cheeks gradually contour to their new appearance, it may take several months for the final results to be visible. Over time, your cheeks should appear less full or chubby. Although good results can be expected, it is important to note that the practice of medicine and surgery is not an exact science, and results are not guaranteed. In certain situations, a single procedure may not achieve optimal results, and another surgery may be necessary. After returning home from surgery, if you experience shortness of breath, chest pains or unusual heart beats, seek medical attention immediately. Should any of these complications occur, hospitalization and additional treatment may be required. For successful surgery, it is important to follow your physician’s instructions. Generally, it is important that the surgical incisions are not subjected to excessive force, abrasion or motion during the time of healing. Following surgery, your surgeon will give you specific instructions on how to care for yourself. During the procedure, medications are administered for your comfort. Choices include intravenous sedation and general anesthesia, and your doctor will recommend the best choice for you. An incision on the inside of the mouth, on the inner portion of your cheek is required. Occasionally, the buccal fat pad may be removed during a facelift and not necessitate an incision inside the mouth. Typically, the sutures that close the incisions inside your mouth are absorbable, but each plastic surgeon performs the surgery differently. Be sure to avoid playing with the sutures with your tongue until authorized by your surgeon. Typically, your buccal fat removal surgery will result in a slimmer, more contoured cheeks, specifically in the cheek hollow area. Buccal fat removal surgery is a personal decision, and should not be made hastily. We recommend that you consider whether the benefits will achieve your goals, and if the risks and potential complications of buccal fat removal surgery are acceptable. Your plastic surgeon and/or staff provide detailed explanations of the risks associated with this surgery. You will be asked to sign consent forms to ensure that you fully understand the procedures you will undergo and any risks or potential complications.